Dwyer V10SS Mini-Size Stainless Steel Flow Switch. Monitor Unattended Equipment. Working Pressure Range: 0-1.2 MPa. 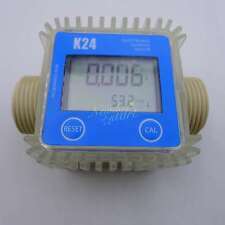 The Biggest Pressure: 2.4 MPa. Destroy Pressure: 3.0 MPa. 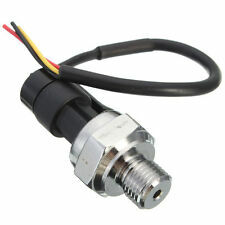 1x Pressure Transducer Sensor. 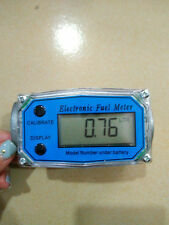 Sensor material: Carbon steel alloy. 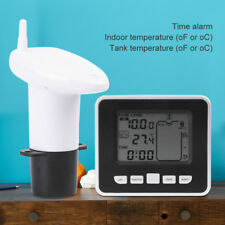 Storage Temperature Range: 0-100℃. Temperature Range Error: ±3.5 %FSO. 10000L (or GAL) will be accurate to two decimal places, when the total water consumption is greater than 9999.99 L (or GAL). The decimal point will be hidden. When a flow of water is detected, the stream head animation will begin to show the water droplets. 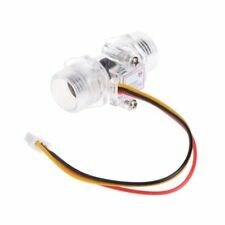 Flow sensor connecting type: OD 13mm. Red---Power Black---Power - yellow---Pulse singal. Red---Power white---Power - blue ---Pulse singal. flow sensor wires 1 xFuel Flow sensor. Flow speed range : 0-10LPM. 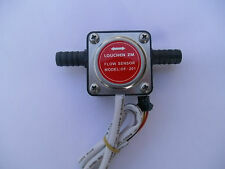 Flow sensor connecting type: 13mm OD. Red---Power white---Power - blue ---Pulse singal. 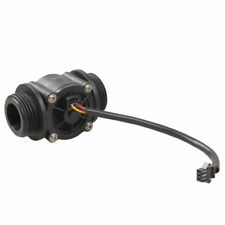 Flow sensor wires 1x Flow sensor. Flow range : 0-10LPM. 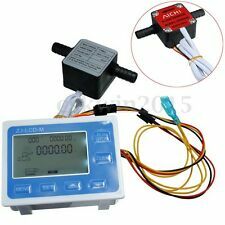 The pulse output of the flow sensor and solenoid valve and other auxiliary components. ●Equipped with sensors, solenoid valve, can achieve a variety of industry gas, liquid flow. 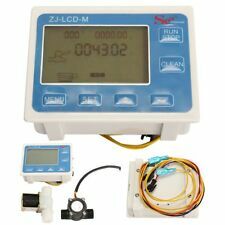 ●The large white backlit LCD screen: beautiful and generous, to realize digital. 1x Solenoid valve. 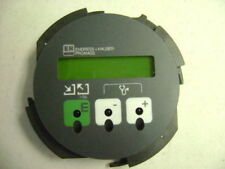 2, the use of large, white backlit LCD screen: beautiful, generous, making it truly digital;. 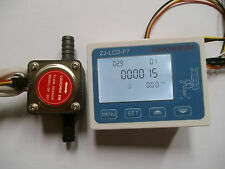 1xFlow Sensor. 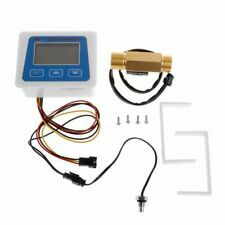 5, the temperature detection: detects temperatures of the liquid and display. 30 Standard Litres Per Minute of Air. Call us at 905-853-0078 / 1-866-376-0078, or send us an Email. We'll have an answer for you, usually within 1 business day. Please let us know if you need one and we will add it to your order. TYLAN FC-260 MASS FLOW CONTROLLER, 500 SCCM CO2 150 PSIG MAX. 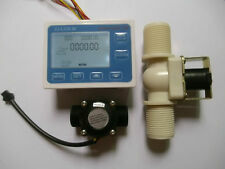 TYLAN FC-260V MASS FLOW CONTROLLER, 500 SCCM AIR 150 PSIG MAX. L.P.M.-Air-Met. @14.7 P.S.I.A. & 70F. 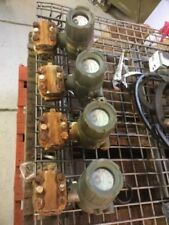 USED Fischer Porter Flow Meter. 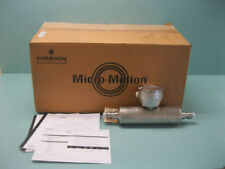 -WE SHIP WORLDWIDE with TRACKING NUMBER and SIGNATURE REQUIRED service to insure package delivery. 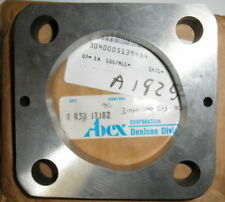 You are currently watching a Superior flow products inc. Tag : fe 427 254. The specifications are :Size : 14. Our prices are always negotiable ! Sch : 040-001. Series : 1000-003. TYLAN FC-260 MASS FLOW CONTROLLER, 500 SCCM CO2 IN AIR 150 PSIG MAX. MAKE sure you have a current up-to-date email address with Ebay and Paypal, include a phone number to be reached at with your payment.